Everyone is creative. That’s the mantra of the faculty at the International Center for Studies in Creativity. On February 16, an online course, “Ignite Your Everyday Creativity,” will offer everyone a chance to cultivate his or her personal creative skills. The course was developed by Cyndi Burnett, assistant professor, and John Cabra, associate professor, both of the International Center for Studies in Creativity, in collaboration with Instructional Resources at Buffalo State. "We are so committed to helping people identify themselves as being creative, and helping them find ways to develop their creativity," said Burnett. "Creativity is essential to innovation, so this course is a perfect way to take part in Buffalo State’s Year of the Innovator." The course will be available online at no charge thanks to a partnership between the State University of New York and Coursera, a company that hosts “massive open online courses,” known as MOOCs. MOOCs are taught by experts, many from the world’s leading universities, and are open to anyone interested in the topic. Buffalo State will be the second SUNY institution to capitalize on the partnership. Participants who complete the course will receive a certificate of completion. "People will learn, first, that they are creative," said Burnett. "Then they will learn ways to develop their creativity. Most of our students find that, as they understand their own creative process better, they don’t have to live with a problem. They can figure out a way to fix it." 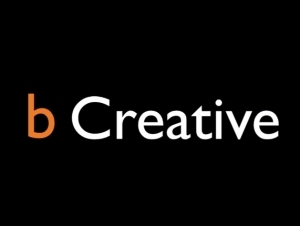 According to Burnett and Cabra, creativity is an innate survival skill; the MOOC will help its participants develop their creativity through specific steps. The course will have five modules: an introduction to creativity followed by a 4P process: the creative person, the creative process, the creative product, and the creative press. "The creative press is the environment that facilitates creativity," explained Burnett. "When we talk about creativity in our program, we are talking about problem-solving, not forms of creative expression like painting or poetry." The course’s theme is “b Creative.” Videos—60 of them, each about five minutes long—will be a core part of the six-week course. Cabra conducted many of the interviews shown in the videos. "We are featuring people from Western New York and the Buffalo State community who have used creativity in their everyday life," he said. Participants will receive a daily e-mail to heighten their anticipation for the day’s topic. "Most steps will have an activity," said Burnett. "Participants will get an e-mail, watch a video, complete an assigned activity, and then discuss their experience with each other through a dedicated online discussion board as well as through Twitter and Facebook." She and Cabra estimate that completing the coursework will require two to three hours a week. "Studying creativity is so worthwhile in so many ways," said Burnett. "It has made me a better person: more tolerant, more comfortable with people’s differences, and better equipped to solve the challenges that life throws my way."